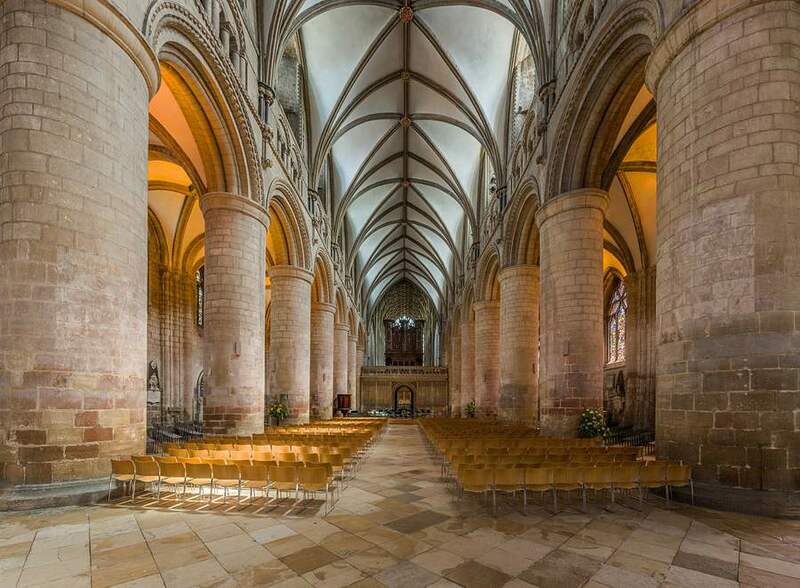 Gloucester Cathedral has been a place of Christian worship continuously for over 1300 years, since Osric, an Anglo-Saxon prince, founded a religious house here in 678–9 A.D. Historians believe the Benedictine Rule was introduced here early in the 11th century, when it became Gloucester Abbey. Gloucester bore witness to the changes of England throughout its Christian history. William the Conqueror was said to have been feasting at the cathedral when he ordered his famous Domesday Book, the earliest survey of the land. This history is reflected in the architectural style of the cathedral, from the Norman nave and crypt to the Perpendicular-style south porch and north transept. The south transept is Decorated Gothic, as is the east window. 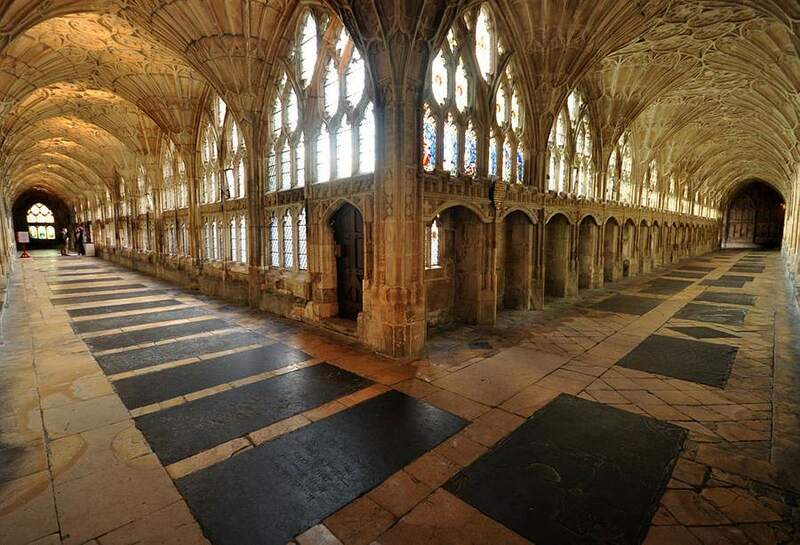 Gloucester Abbey was one of only a handful spared by Henry VIII during his Dissolution of the Monasteries, who made it a new cathedral for the sake of his ancestor King Edward II, who was buried there. When the Reformation briefly reversed under Queen Mary, she had Bishop Hooper of Gloucester burned at the stake at Gloucester Cathedral in 1555. His monument is to the west of the cathedral close by St Mary’s Gate. Oliver Cromwell wanted Gloucester Cathedral destroyed, but Gloucester’s mayor and burgesses kept him from demolition. 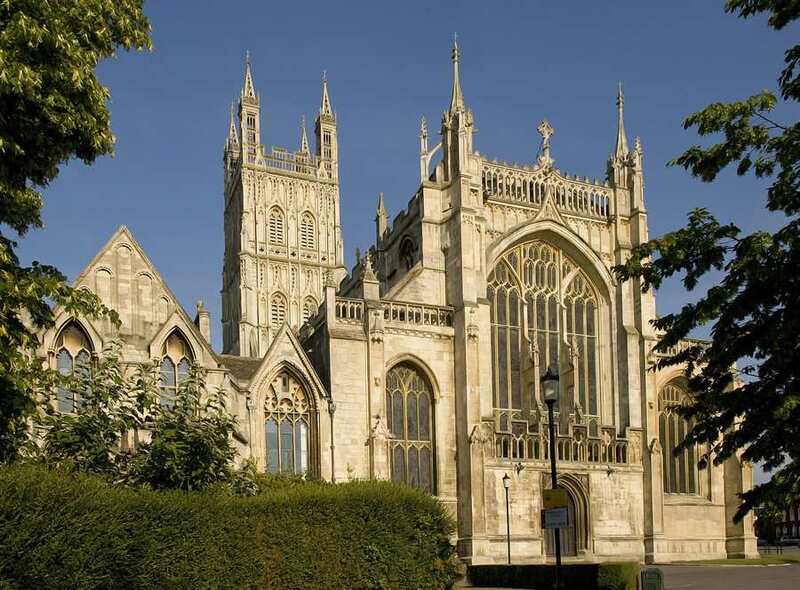 More recently, congregants at Gloucester Cathedral worried it might be bombed during World War II and took precautions, removing the Great East Window storing in the crypt. In their hurry, they did not record where each piece of glass went, so after the war they used pictures on old postcards to guide the reassembly of the window.